I was working in the Helmsley Building, a 35-story Beaux-Arts building towering over Grand Central Station. 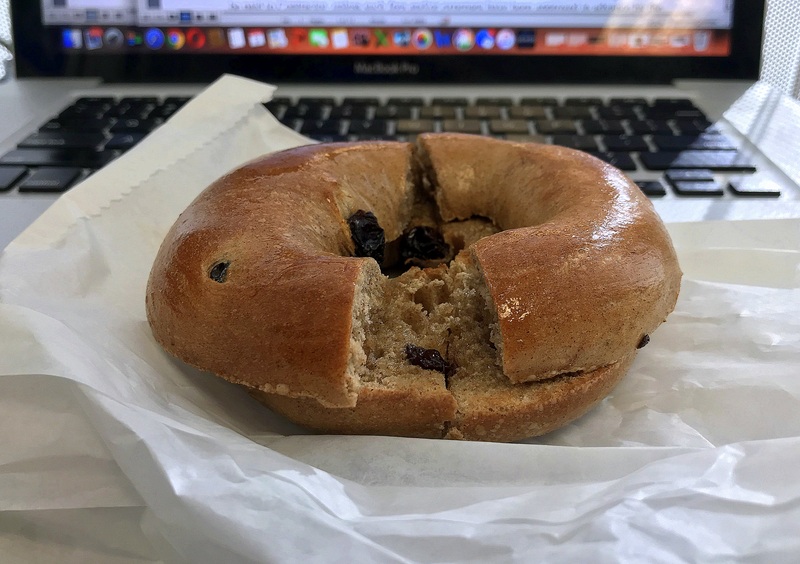 Every morning I’d get off the subway, head straight to the bagel shop for a cinnamon-raisin bagel (with butter) and eat it at my desk with a cup of bad coffee. 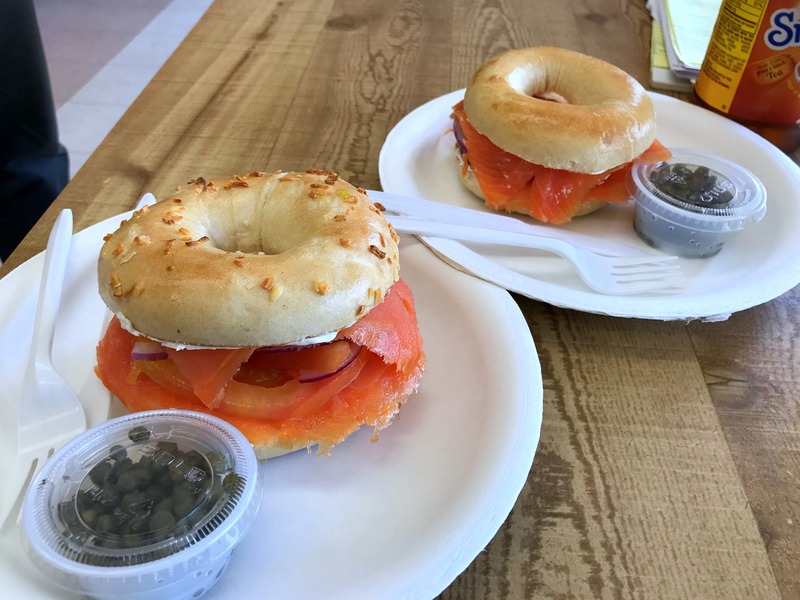 So, when I stopped at PL Bagels (3704 Voltaire St. #107, Point Loma) and grabbed a cinnamon-raisin bagel with butter on my way to work, it was, essentially, recreating old times. 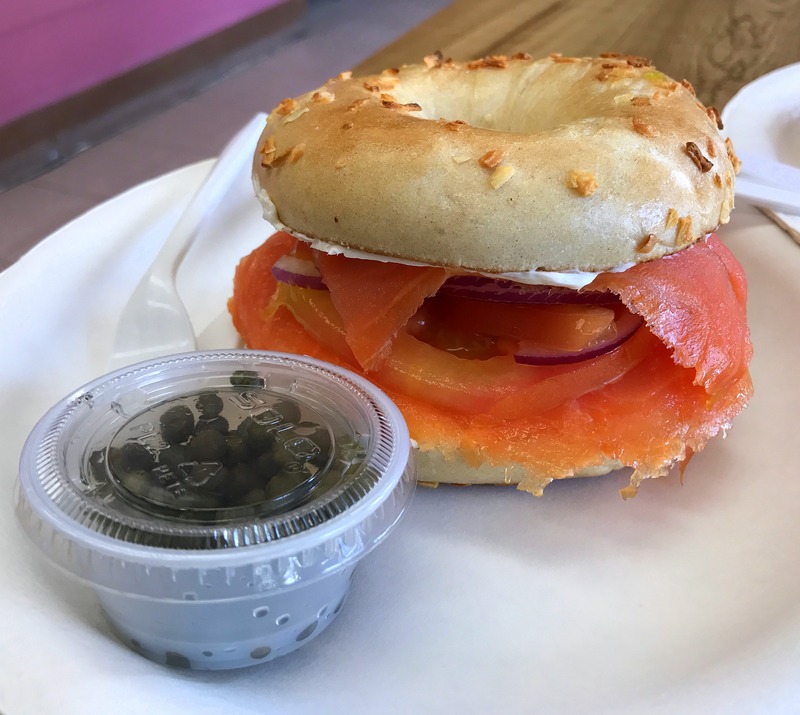 It wasn’t the best bagel I’ve ever had, but it was the best I’ve had in San Diego.